Beloved since his black-and-white debut in Steamboat Willie, Mickey has been on many adventures with his girlfriend Minnie, his pet dog Pluto, his friends Donald Duck and Goofy, among many others. Fun Fact: The oldest known drawing of Mickey Mouse was done in 1928, making it over 90 years old! 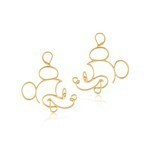 Bring the magic of Disney with you on all your adventures with this Disney Couture Mickey Mouse wire face earrings! 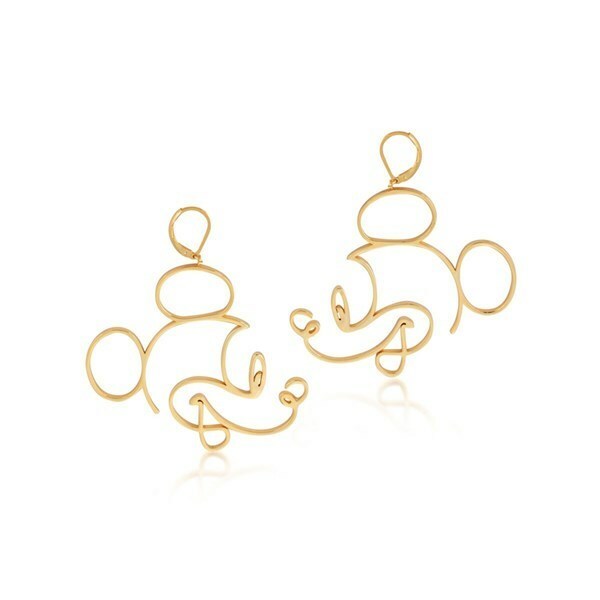 Fun, iconic yet modern are these Mickey Mouse ‘wire style’ statement earrings. They are a must-have for any fan of the True Original.